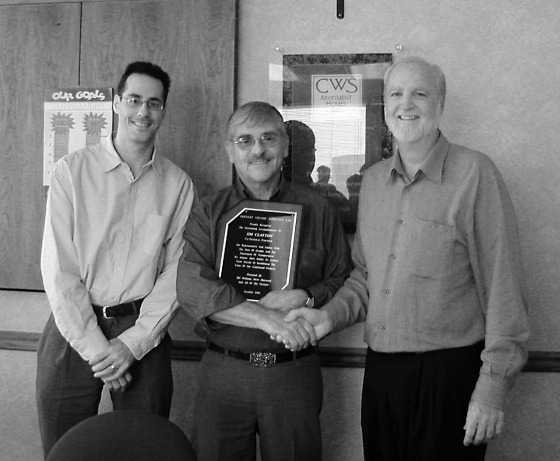 Since CWS was founded in 1969 the company has been far ahead of the curve by embarking upon strategic planning meetings once a year. The purpose of these meetings is to review what we did well, where we fell short and how we can learn from our mistakes and disappointments, the major assumptions guiding our business, the environment in which we’re operating, and to align on important objectives for the year ahead in the context of a larger vision. In more recent years as the company has grown various key groups within the organization have carried out mini-planning meetings as well. One of these groups is related to our investments team. The purpose of the investments meetings is to determine where we should be buying and where we should be selling. The former is generally more macro influenced primarily by supply and demand trends while the latter has macro influences as well but is also impacted by property specific and location-specific trends. We want to create the best process for making unbiased capital deployment decisions within our core competency and where money should be taken off the table provided we believe there are better and more compelling risk-reward relationships by purchasing other properties via 1031, tax-deferred exchanges. What are the trends in the two most important Fed indicators? Since we are big variable rate loan borrowers and real estate values are influenced greatly by the cost of capital (interest rates), it’s important to have an intelligent point of view regarding interest rates and what they will average over a five to seven-year period. 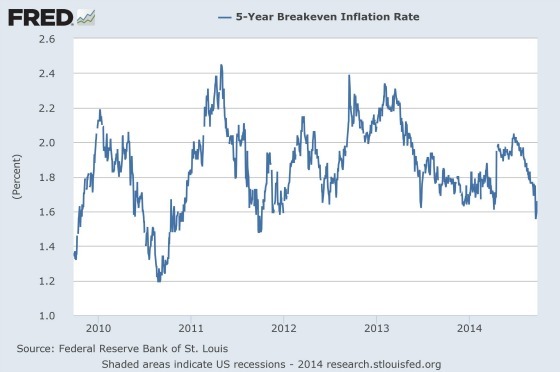 I believe the two most important indicators for the Fed are wage rates and inflation expectations. Here are two graphs showing the trend for each. I must acknowledge that these two indicators are really my opinion of what Janet Yellen and the Fed is watching most closely. The Fed not only has a mandate to have price stability, which clearly seems to be the case given the market’s expectation of inflation in five years as it is low and dropping but full employment as well. Although employment levels are improving, there is still slack in the labor force and wage growth is pretty anemic. 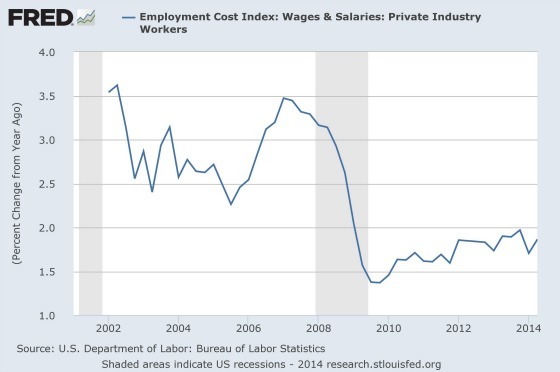 I believe Yellen not only wants more people employed but higher real wages as well. I don’t think she will be happy with full employment and wages barely keeping up with inflation. Will homeownership pose more competition? 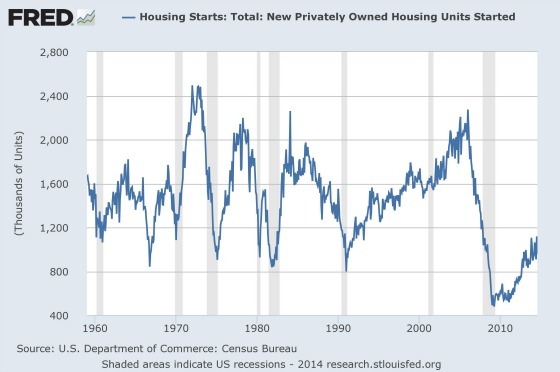 Clearly, homeownership has been declining on a percentage basis for the last 10 years or so as this graph so starkly depicts. 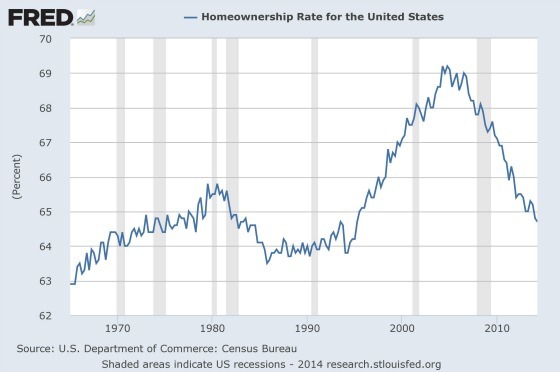 Home Ownership Rates in the U.S. Apartment owners clearly have benefited from this. It would appear that the low hanging fruit has been picked as home buying has been increasing as the following graph shows. We are nowhere near the bubble years, but we are getting back to a level we were at prior to the subprime era. It’s been a choppy ride but generally upward since 2010. The downturn in the latter part of 2013 was due to mortgage rates jumping up after Ben Bernanke first announced the Fed would start tapering its purchases of Treasuries and mortgage-backed securities. That event showed how interest rate sensitive housing still is despite mortgage rates being at historically low levels. 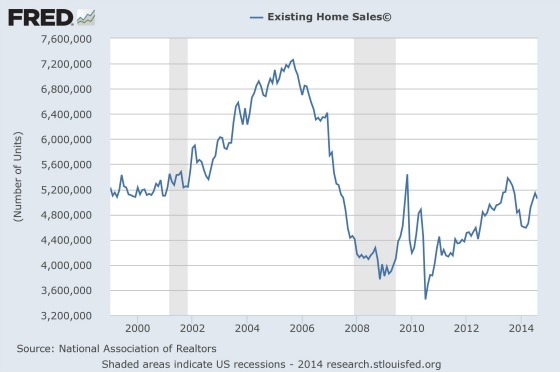 There is a question as to whether home sales moved up unsustainably due to the presence of investors in the market buying large swaths of homes. This will be something we pay attention to. 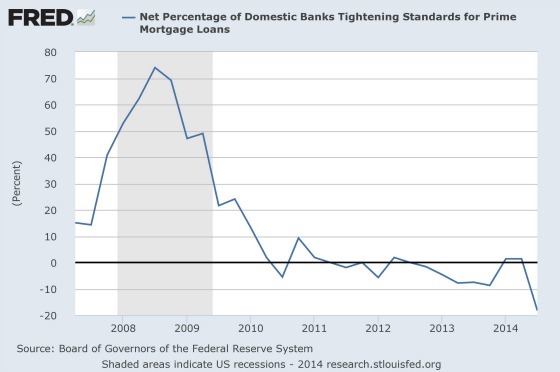 This next chart shows that banks are not as stingy with mortgage credit as they were. Is there enough housing being built? An important insight for us a few years ago during the planning meeting was to discard looking at multi-family supply only and focus on total housing supply relative to demand because there was so little new owner-occupied housing being built. With apartment starts in the 300,000 range and single-family closer to 500,000, we believed that housing, in general, was undersupplied when demand should have been in the range of 1.2 to 1.5 million per year. Apartments would have to fill the void…and they did. With apartment supply growing along with single-family starts, will we now see some of the latent demand materialize among the young kids who moved back home? 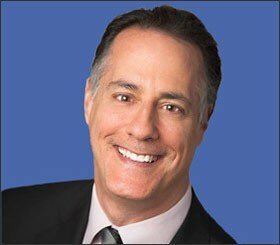 Will the government implement a large debt forgiveness program for student loans? The large amount of these loans out there has made it difficult for younger people to buy homes which have helped the rental market. If the government were to forgive these loans then this could unleash potentially much more home purchasing power and take away from rental demand. 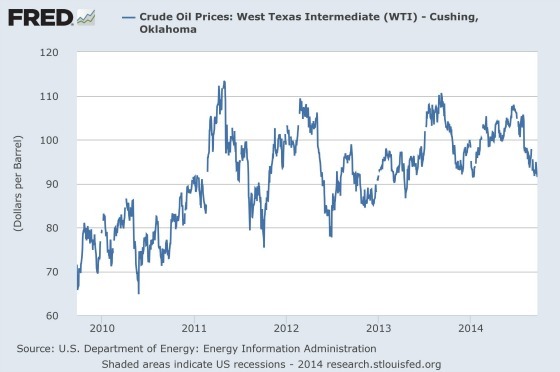 Will oil prices stay above $85 per barrel? We have a big bet in Texas and particularly Houston. The state has clearly prospered from the extraordinary investment in exploring for and producing oil from unconventional shale formations. It’s also needed to build a whole new distribution system to get the oil to where it needs to go. Admittedly we need to learn a lot more about this business since the state has become so dependent on it at the margin. It’s my understanding that break-even oil prices for shale producers is in the $85 per barrel range so this is something we’ll be watching closely. Interestingly oil prices peaked at about $145 in 2008 and hit bottom in 2009 at $35. The average of those two is $90, which is very close to where we are now. Perhaps this is the equilibrium price? What will happen to construction costs? This is important to help us determine how much we’re willing to pay for a property. We don’t want to pay close to or above replacement cost unless there is a very compelling reason to do so. Knowing where costs are headed is important to know what rents are required to justify building new properties and how much room we have to raise rents, holding everything else constant. Will banks and equity sources continue to fund developers like they have? Overbuilding is obviously one of the greatest threats to apartment owners as nervous developers cut rents on a brand new product which usually ripples through to the other properties in the market. Money is the fuel for developers. If it’s available then they will take it and build and if it’s not then building will slow down. It’s important to have knowledge about lending conditions and the appetite among equity providers to invest in new development. What is going to happen with incomes? This is not only important for interest rates but also for apartment owners as rents have grown faster than wages over the last four years or so. This trend cannot continue indefinitely. It’s also important to find those areas of the country where wages will be high enough to result in demand exceeding supply and higher rents resulting. When will corporate credit begin to tighten? The floodgates have been open for corporate borrowers (and real estate as well). At some point, too much capital lent on easy terms and at cheap prices will sow the seeds of future problems. 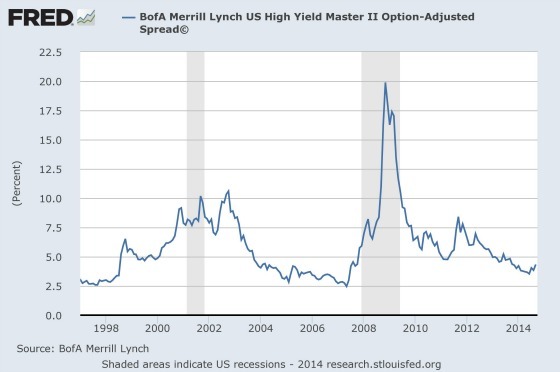 Spreads haven’t compressed to the point of where they were in 2006 and 2007 for high yield borrowers, but they’re pretty close. 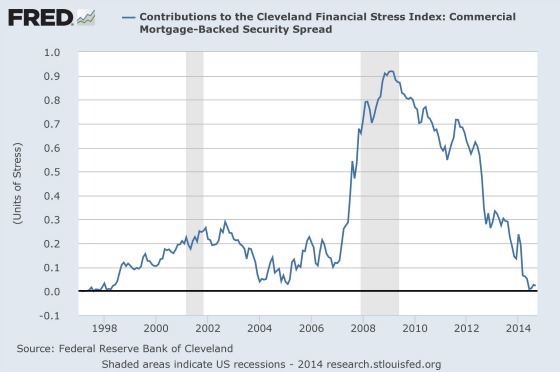 For commercial real estate, however, the spreads are back to the levels seen in 2006 and 2007. This is something we will be watching closely. 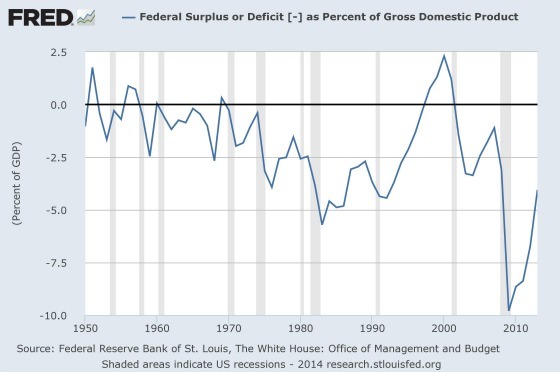 One indicator I look at is the federal deficit. The following graph shows how recessions always follow a meaningful reduction of the deficit and then an increase. The deficit has not stopped shrinking so I don’t see any red flags yet. I will be looking for the deficit to increase and then start looking for signs of a recession a short while later. It’s quite possible that there are some other very important questions that I have not raised here. This post wasn’t meant to be exhaustive but to give you a window into our thought process and how we organize ourselves to improve the odds of making better decisions by asking the right questions, making it safe to drill down deeply to find where we have fallen short, identifying where our decision-making process succeeded, and making the necessary corrections to avoid errors in the future. Charlie Munger has often said that one of Berkshire Hathaway’s great competitive advantages is how rational it is in its decision-making process. While CWS is no Berkshire Hathaway, we do strive to be ruthlessly rational in our capital allocation decisions.